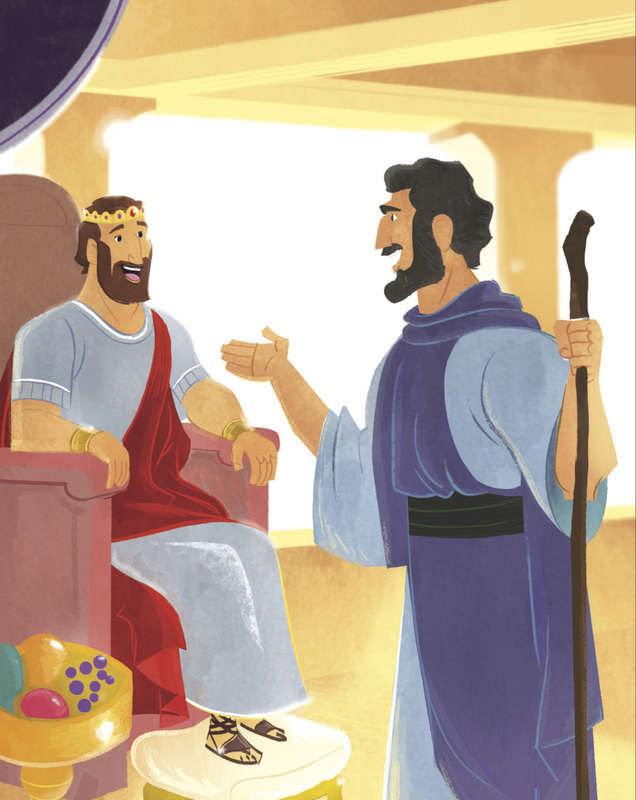 This week in The Gospel Project for Kids, your kids learned that David and Jonathan became friends. David, as he played the harp for Saul, met Saul’s son Jonathan. 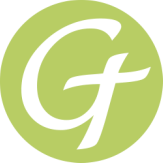 David and Jonathan became great friends. Jonathan gave David several gifts. He gave him a robe, a military tunic, a sword, a bow, and a belt. God gave David success in everything he did. Saul, unlike Jonathan, did not like David. As a matter of fact, Saul tried on several occasions to kill David. Jonathan warned David of Saul’s rage and suggested that David go hide himself until Jonathan could talk to Saul. In Jonathan’s meeting with his father, it was obvious that Jonathan knew he would not be the next king in his father’s place—but David would be, and Saul was intent on killing David. Jonathan and David devised a plan to determine the extent of Saul’s hatred. Once Saul’s full intent was brought out, and he tried to kill his own son, Jonathan went to warn David that he needed to flee. Jonathan took a servant and went to a field to shoot three arrows. By giving David a signal, David knew he would have to leave and would likely never see his friend Jonathan again. David and Jonathan said their goodbyes, and David left. Jonathan and David were true friends. Jonathan serves to give us a picture of what Jesus does for us. Jesus is the mighty friend of sinners. In John 15:15 Jesus calls us friends. Jesus willingly gave up His place in heaven to come to earth and die for our sins, and now intercedes for us before God in heaven. God chose David to be king of Israel. When David was young, he played the harp for King Saul, and God gave him power to defeat Goliath, the great Philistine warrior. David became the king of Israel, and God gave His people a time of peace. David was talking with Nathan the prophet. Nathan was a messenger for God. David said, “I live in a palace of nice cedar wood. But the ark of God sits inside a tent!” It hardly seemed fair. Shouldn’t God have a nicer house than David? David wanted to build a temple for the ark of God. He told Nathan his plans. “David, are you going to build a house for Me to live in? Think about what I have done for My people. I brought them out of Egypt. I gave them leaders to guide them. The entire time I have been with them, My house has been a tent. Did I ever ask anyone to build a temple for Me? When God was finished speaking, Nathan told David everything God said. David went into the tent he had set up for the ark of the Lord. He sat down and prayed. “Lord God, I don’t deserve anything You have done for me, and You promise to do so much more! 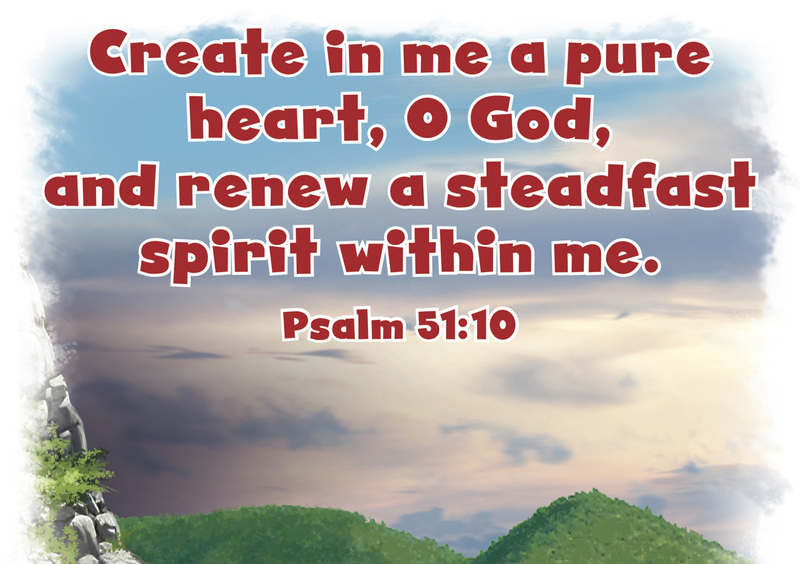 God, You are so great! There is no one like You! You chose the Israelites to be Your own people. You rescued them from slavery in Egypt. Christ Connection: God made David a promise. 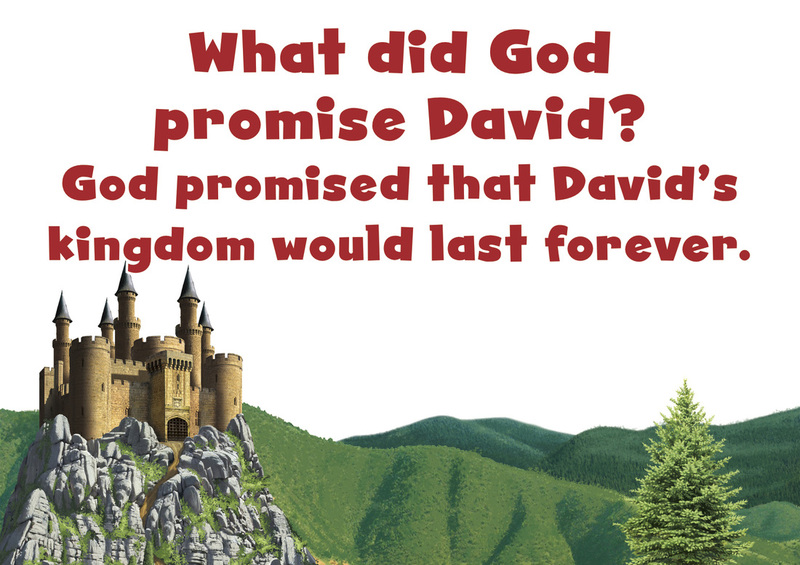 He told David that every future king of Israel would come from David’s family, and David’s kingdom would last forever. 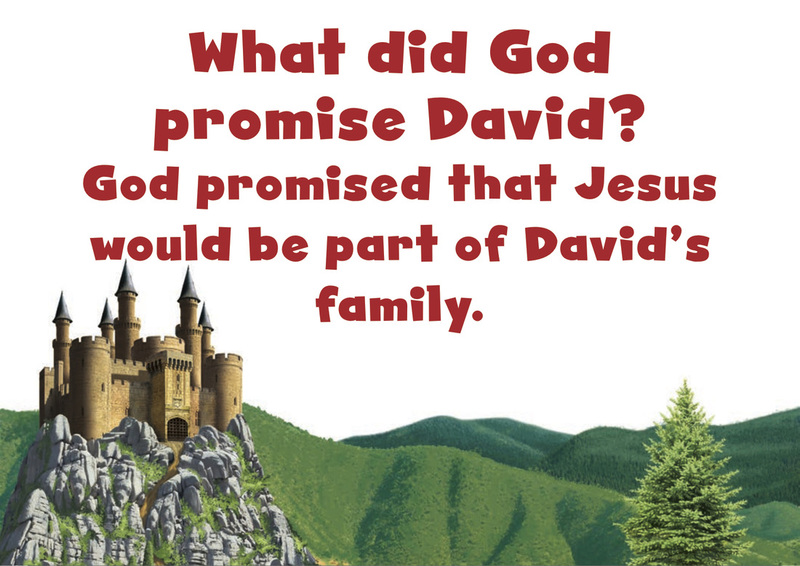 God kept His promise by sending His Son, Jesus, to be one of David’s descendants. Jesus is our King who will never die; He will rule over God’s people forever.